Your donation will help families build long-term financial security with an affordable, stable home. Thanks to you, we are transforming lives. To make a tax-deductible contribution please complete the secure donation form. If you prefer to make a donation by check please mail to: 4131 Madison Street, New Port Richey, FL 34652. 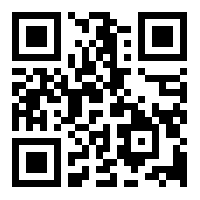 Scan the barcode to join the Round Up App! We have raised $16,416.00 of our goal. Make your secure contribution here. Please indicate where you would like your contribution to go.